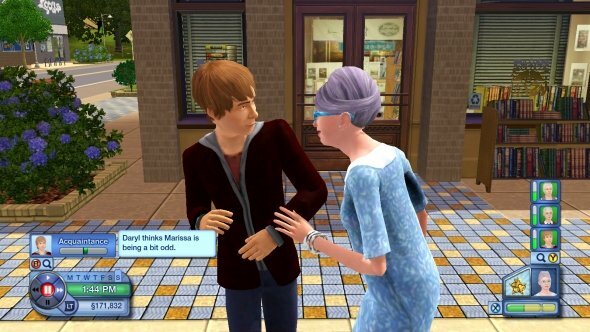 Oh those Sim-fans out there who somehow didn’t manage a copy of the game for PC can ready themselves for the console invasion of The Sims 3, which will be made available for the Xbox 360, PS3 and Wii. Of course, the Wii version will be gimped to oblivion but it’s still going to be The Sims. 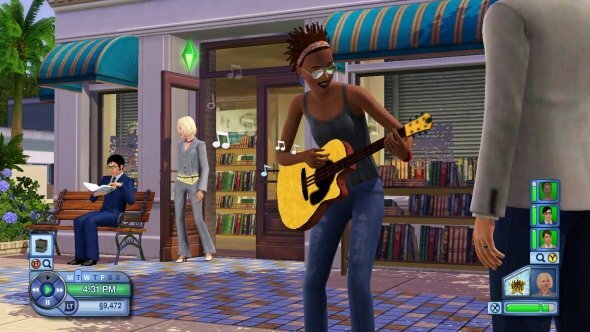 EA released a few new screenshots for the live-your-life simulator, ranging from some cougar romance to a no-clothes pool party. The new screenshots for the Xbox 360 and PS3 version of the game contain a few action-packed scenarios, involving a young guy getting harassed by a pervy old lady; a young homeless woman playing a guitar for some coin, and a dance party where everyone is celebrating having their clothes stolen. Yeah, there’s some serious fun times awaiting Sim fans for the home consoles. You can check out the three new screenshots for the game below as The Sims 3 preps to invade the Xbox 360, PS3 and Wii. You can learn more about the game (if you haven’t already) by visiting the Official Website.